Which is why it was so hard to look at what Badland 2 became under the hands of Clean Master (aka infamous Cheetah Mobile): an IAP-ridden cash-grab mess that was filled to the brim with opportunities to milk you for real money. The game had energy bars, coins as currency, and even boosters that you may need at one point or another to get through the levels. What they cost went anywhere between $0.99 and $9.99... plus a little piece of your dignity for giving cash to Cheetah. But that's no more. 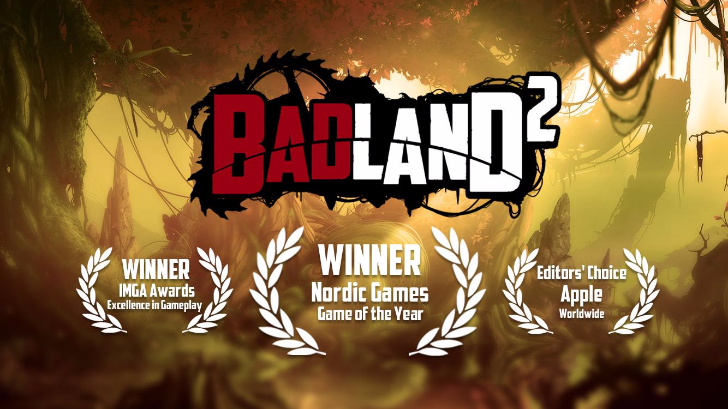 Badland 2 was previously available in a geo-restricted beta, but now everyone worldwide can play it and the happy news is that Frogmind Games has listened to all the complaints from users during the limited launch and completely changed the game's IAP. No more useless cash-grabbing. 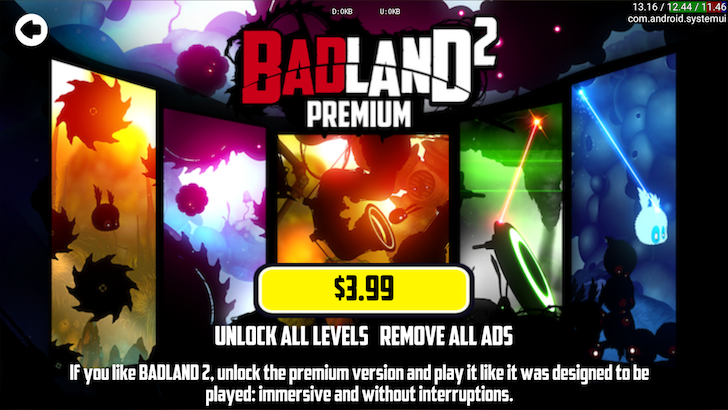 Badland 2 has one IAP and one only: $3.99 to unlock the full game and remove the ads, the same as on iOS. There's no word though on what happens to all the money that users have paid Clean Master during the limited soft launch or whether spending something more than $3.99 entitles them to the full game now or they'll have to purchase again. Regardless of that, Badland 2 is live on Android worldwide and here's a link for you to grab it on the Play Store. This post incorrectly stated at first that the final release version of the app had the same IAPs, coins, and energy bars as the soft launch version. We have since updated it to reflect the right information and not mislead anyone into thinking it still had them. We apologize to Frogmind Games and you, our readers, for that wrong information. I did check the game on my phone and saw the IAPs were still there before publishing, but it turns out I was running an older version of the game that wasn't updated with the changes. It didn't help that the game's listing on the Play Store was still mentioning the old IAP values and the changelog and description didn't say anything about changes to the IAP mechanics.